I’ve developed a bit of a problem one with Games Workshops tools: The sprue cutter. I find it to be a somewhat inprecise and messy tool that, while ideal for most hobbyists from beginners onward, is not ideal for more experienced painters. Don’t get me wrong, I’m not putting myself firmly into the category of ‘experienced painter’ at all, but I can honestly say that people have told me I’m ‘good’, which is good enough for me. The last few weeks I’ve spent more than a reasonable amount of time looking at cutters as I’ve become frustrated with the results of my trusty GW cutter. It’s not that it’s bad, it’s just that I want better, and I feel that I’ve reached the limit of this particular tool. And why am I making such a big deal about something so basic? Something that most hobbyists don’t even spare a thought about? Well, because there it’s something that’s bugged me for a while and I’ve found precious litte resources about this so fundamental tool. It’s an interesting dilema, as I’m sure many hobbyists/technicians/musicians/name-your-profession encounter at some point. What do you do when you feel that you want a better tool? When you feel that the tool you’ve been using for so long without issue is now not good enough? Well, I guess at that point you get a better/faster/louder/sharper tool. To this end, I’ve settled on the sub-£20 Xuron 410T High Precision Shear. According to many sites online and numerous reviews on different marketplace sites like Amazon (For one example), these are the best you can get. As close to perfect as a cutter gets. Although, as good as these are, there are others that are nearly if not just as good. For this reason I’ve also purchased online what appeared to be a lower quality ‘spare’ to do less precise work with, but I’m interested to see the difference, if there is one. Is there a difference between this apparently ‘High Precision’ tool and a standard ‘flush cutter’ or ‘flush shear’? Is it really worth paying an extra £15? Is the result better? This is what I really want to find out. Where did I buy this? 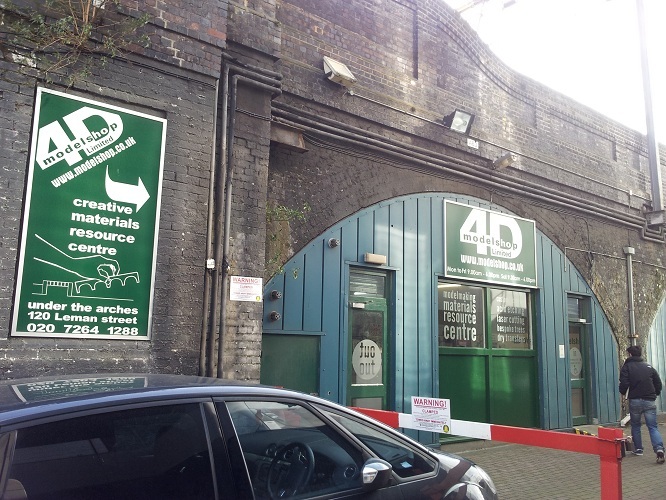 At 4D Model Shop (Pic on the right), where I often go to buy magnets and modelling spares (Link to cutters I purchased here). 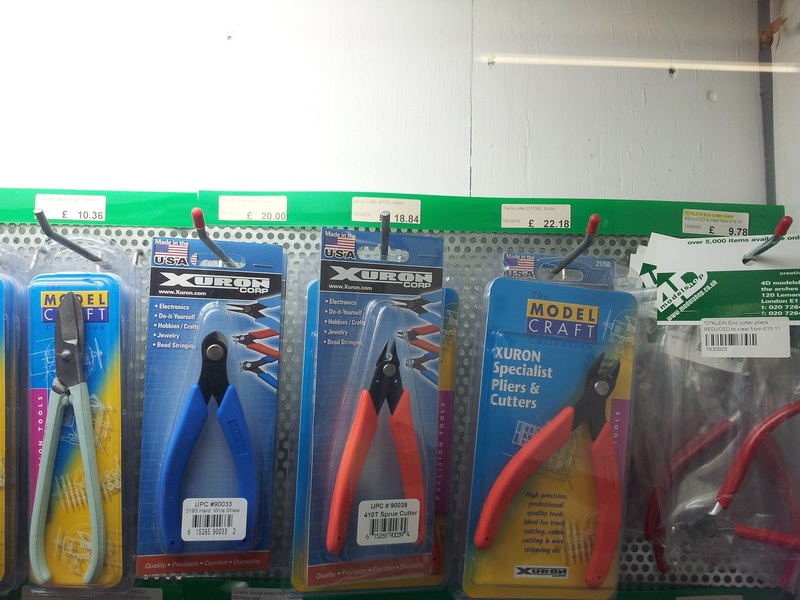 I wont go into a sales pitch about this store, but theyre a real hobbyists store that really seem to care about the tools they sell. They also have a real shop in London that you can actually go and look at the products you see on their site. I really like to see and touch things before I buy if it is possible, especially when buying precision tools which are potentially grossly overpriced. The ‘spare’ I bought from The Troll Traders online site, which is a company that I have often dealt with for buying bits and bobs online for minor conversion work. They also have a real store (Which is unfortunately not in London and therefore too far for me) and a real phone number that you can talk to a real person about the actual product you’re enquiring about. When I called and spoke to the very helpful man, he advised me that they recently bought in a load of cutters cheap (but brand new) and were subsequently selling them cheap! 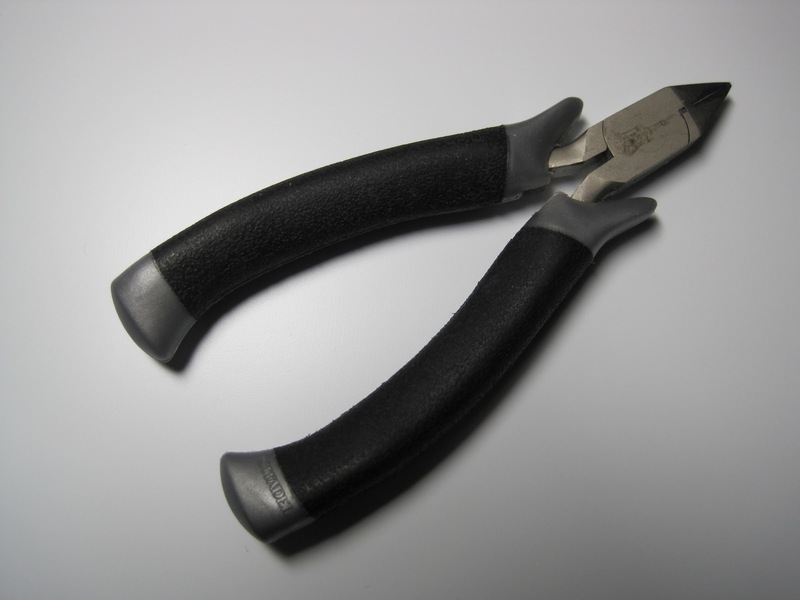 At £3.95 for Army Painter branded side cutters (Same as these at £7.19), you cant go very wrong. So, by the end of this week I’ll have 2 cutters from different sources and different brands. Also differing in apparent quality. Will the Xuron cutters live up to their name and brand? WIP painting – Battewagon MADNESS!